Heel pain can be a real bummer. Proper support for your feet can make a lasting difference because without it, uneven weight distribution to the feet could occur. In particular, orthotics can help prevent heel pain and correct unequal weight distribution spread across the feet. Our podiatrist, Dr. Drapacz, can treat this condition at one of three locations: 65 Broadway Suite 1103, New York, NY 10006, 360 West 125th St Suite 7, New York, NY 10027 or 469 7th Ave Suite 601, New York, NY 10018. Orthotics help feet maintain an unbiased position which helps your knees and lower back line up correctly. This will help the body to function correctly and decrease potential heel pain. They can even help reduce knee pain because it’s related to the arch not maintaining the joint in an unbiased position. Custom orthotics support the arch to prevent unequal weight distribution that can cause uneven pressure along the foot. These pressure points may lead to swelling that can cause substantial discomfort. Orthotics can help to spread your weight consistently along the foot and reduce pressure points, and help the rest of the body to heal. Our orthotics will help to reduce pressure points at the heel and spread body weight over the entire surface area of the foot. Our use of state of the art technology allows us to provide your feet with a custom-fitted orthotic that will act to minimize pain distinctive to your feet. 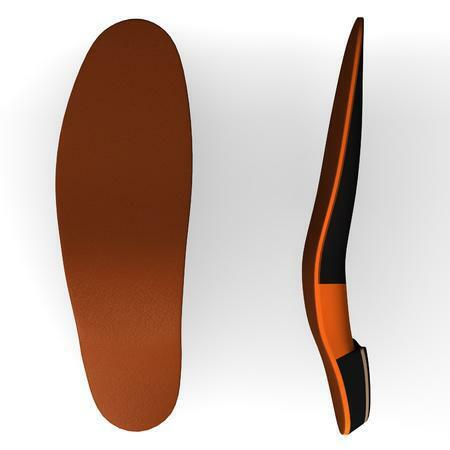 By using our orthotics, you will help to minimize heel pain brought about by unequal pressure points. For those experiencing uneven pressure points in their feet, we will provide you with the best chance of preventing serous pain by fitting you with a custom orthotic tailored to fit the curves of your feet. Contact or make an appointment with our offices by calling as soon as possible. Take the opportunity to visit us and we will determine the best course of treatment specifically tailored for your feet to receive the best option for treatment and pain reduction.